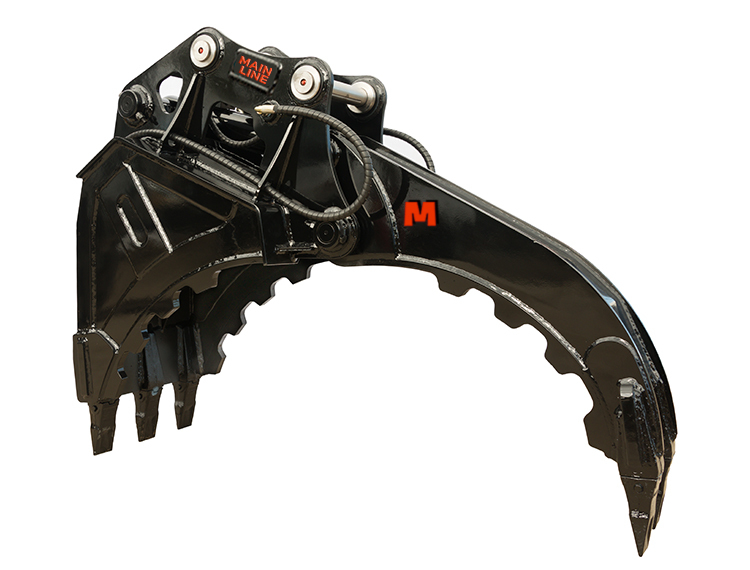 Clamp Buckets are an advanced concept in attachments and offer superior functionality. The exceptionally durable bucket is fitted with a ‘thumb’, allowing the operator to pick up items while still moving within the full crowding range of the excavator. These heavy duty buckets are fitted with an oversized cylinder which provides extra pressure and allows the operator to bran and move extremely large items. Ears are positions on both sides of the cylinder protecting it from any damage, and a check valve is fitted to prevent the dropping of any item, should the excavator suddenly lose hydraulic pressure. From handling waste, brush and logs to moving stones, pipes and landscaping materials, the Clamp Bucket is suited to a wide variety of applications. But where is really shines in on demolition sites, where the extra functionality makes it ideal for everything from tearing down concrete structures and sorting debris, to separating steel from the rubble and loading it onto trucks.